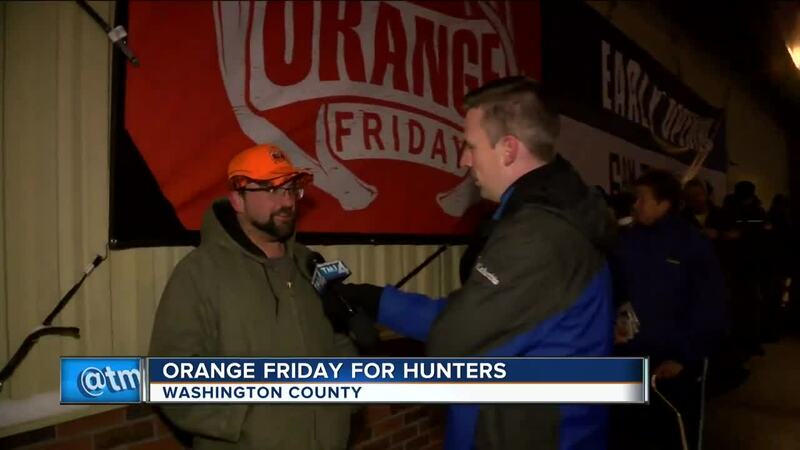 Hunters across Wisconsin are gearing up for gun deer season starting Saturday. MILWAUKEE -- Hunters across Wisconsin are gearing up for gun deer season starting Saturday. But Friday is like the day after Thanksgiving for them. 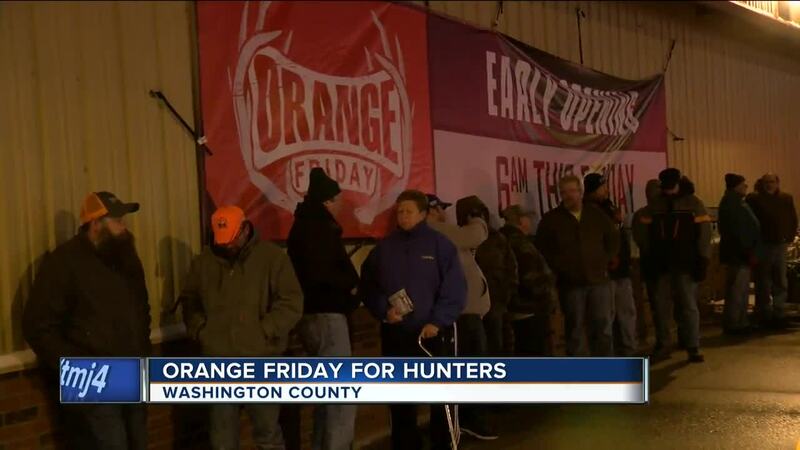 Orange Friday was a day started by Fleet Farm to give hunters a chance to get discounted products before gun deer hunting season. Friday morning in Washington County, people were lined up well before sunrise to get their hands on some final things before heading north. "It's been a family tradition for me for the past six generations," Shayn Pyatt of Milwaukee said. "We hunt further up north. Usually my family comes out here with me so we can get the hats first." "I came out here because they got great deals," Matt Shnorenberg of Hartford said. "I don't participate in Black Friday. This is my Orange Friday." Dozens poured into the store at 6:00 a.m. Many say they wanted to see what deals there were but a lot were ready to stock up on supplies for the 9-day gun deer season starting Saturday. And, of course, plenty of orange. "Need some bibs," Tony Rodeghier of Jackson said. "In and out." Rodeghier had his son Tony Jr. in tow. He's getting him started young. "You wait years for this," Rodeghier said. "It's a good thing for him. Rather have him doing that than running in the streets. It's good lessons." There are many lessons to be learned during gun deer season. Gun safety is paramount but the Wisconsin DNR says getting in and out of a tree stand can be equally important. "It doesn't take very far," Eric Kilburg said. "A lot of times, you don't know what you're going to be falling on top of or what's underneath your stand that you could land on to potentially injure you."